Panasonic Corp plans to initially invest about 20 billion to 30 billion yen ($200-300 million) in Tesla Motors Inc's planned lithium-ion battery plant in the United States, a person familiar with the matter said on Tuesday. The Japanese company, which already supplies batteries for the electric vehicle maker, will ultimately invest about $1 billion in the planned $5 billion battery "Gigafactory", the person said. The figures for Panasonic's investments were first reported by the Nikkei business daily earlier on Tuesday. 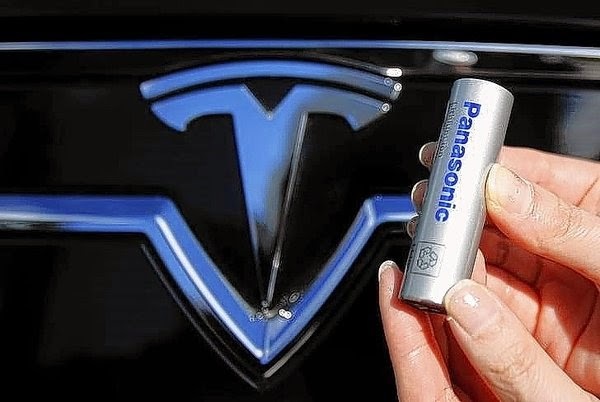 A Panasonic spokesman declined to confirm the investment figures, saying that while the company has signed a letter of intent to participate in the Tesla battery project and was in talks on the matter, no concrete decisions had been made. A basic agreement on cooperation on the project between the two companies is due to be announced by the end of this week, with both due to report quarterly earnings results on Thursday, although no investment figures will be disclosed, the person said. A Tesla spokesman, asked about the Nikkei report, declined to comment on "speculation regarding Panasonic". Tesla is looking at three sites in the United States to build the Gigafactory plants which by 2020 would be able to make more lithium-ion batteries in a year than were produced worldwide in 2013. Panasonic said in May it wanted to be the sole battery cell maker at the battery facility.